Lean and other quality management methodologies have been used by industry and manufacturing for many years. More recently they have been adopted by health care. The authors describe their experience with the lean way of continuous quality improvement, first developed by Toyota, at one of New York’s largest behavioral health departments. The relevance and application of these methodologies to the mental health sector is presented. 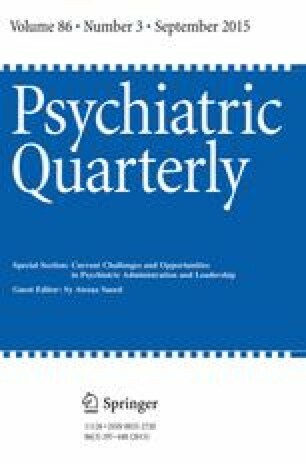 All authors are part of the Group for the Advancement of Psychiatry, Committee on Administration & Leadership except Jill Bowen, Ph.D. who served as a consultant to the Committee for this work. All of the authors declare that he/she has no conflict of interest. http://asq.org/learn-about-quality/six-sigma/overview/overview.html. Accessed 24 Jan 2015.
https://en.wikipedia.org/wiki/Six_Sigma. Accessed 23 Dec 2014.
http://asq.org/learn-about-quality/total-quality-management/overview/overview.html. Accessed 23 Dec 2014.
http://app.ihi.org/Workspace/tools/fmea/. Accessed 24 Jan 2015.
https://innovations.ahrq.gov/qualitytools/plan-do-study-act-pdsa-cycle. Accessed 24 Jan 2015.
https://hbr.org/1985/01/quality-circles-after-the-fad/ar/1. Accessed 24 Jan 2015.
http://www.lean.org/WhatsLean/. Accessed 24 Jan 2015.